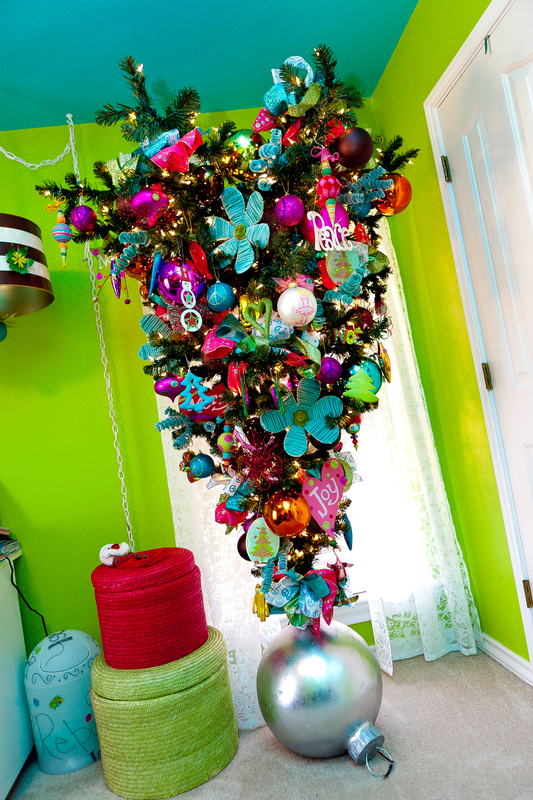 Show Me a Tween tree…upside down? Rebecca's tree..... upside down or inverted? 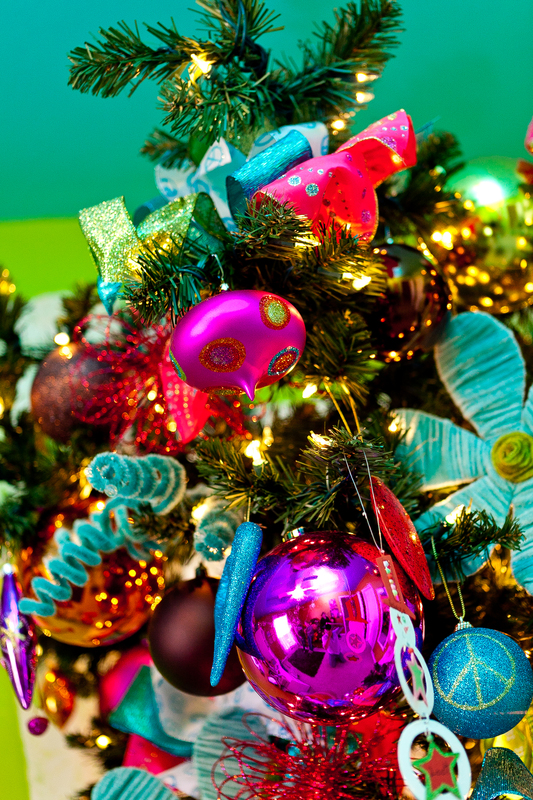 A tween is considered a girl ages about 9-14…too old for toys, but too young for boys….follows fashion trends (@urbandictionary), so how do you decorate their room for Christmas? An upside down tree? 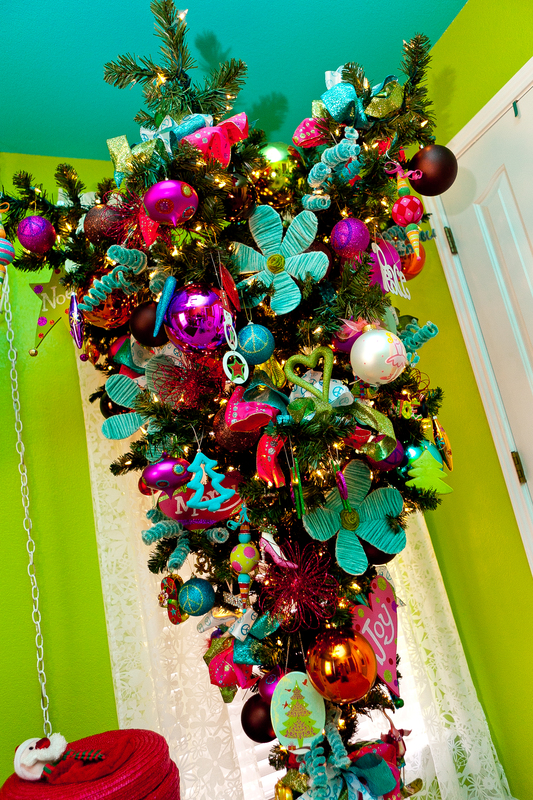 It is actually called an inverted tree, and what better way to let them express themselves and their style than on a tree! 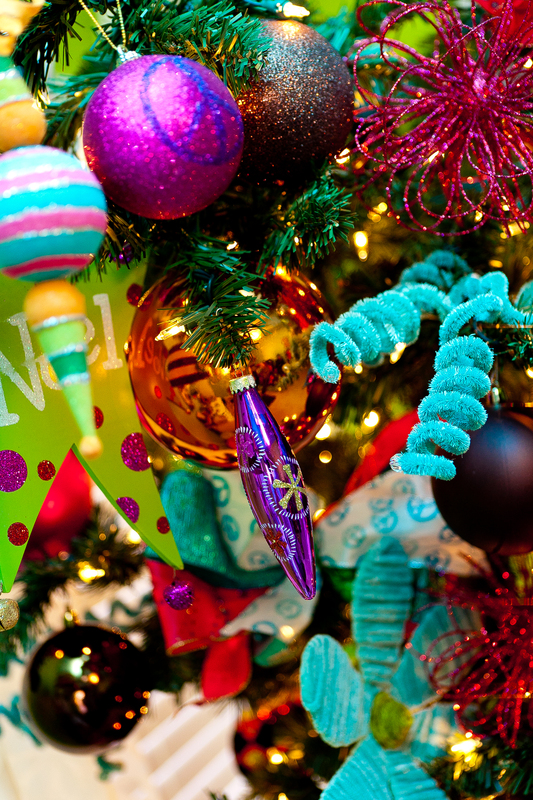 Glitter pink flower sprays,and blue chenille curls are funky florals used in this tree! Who is ready to decorate? We want to help and Show You How! Our Show Me Decorating apps, find all the basic steps, tips and techniques to get started! Rebecca is definitely leaning towards a teenager and her decorating changes every year. 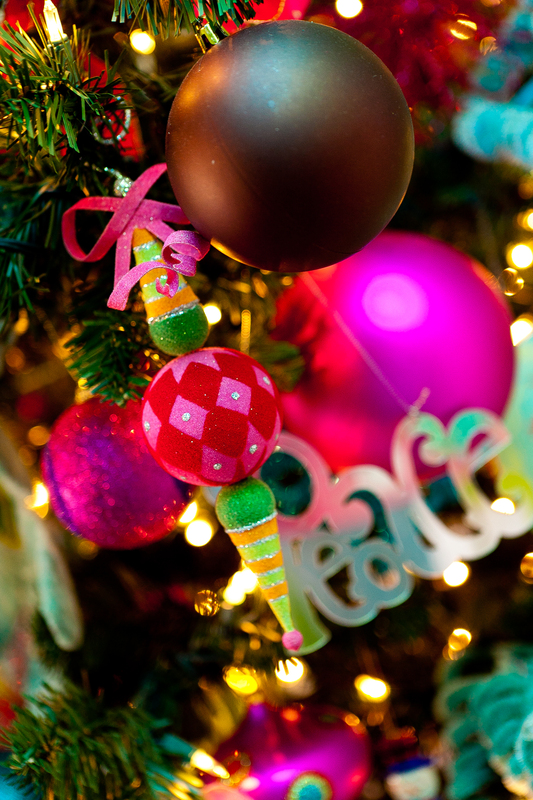 Enjoy last years tree…..notice some of the same decorations? 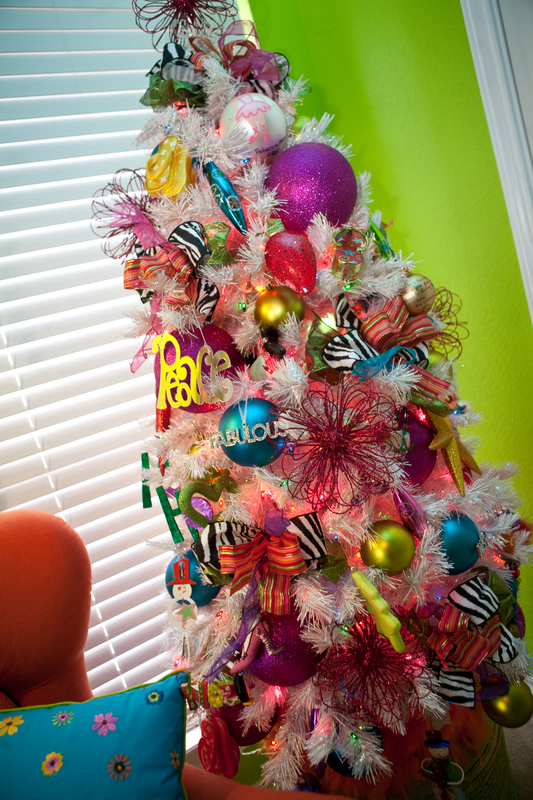 Rebecca used a 4 1/2 white tree, elevated on a colorful box for her tree a year ago! The bright colors really pop against the white tree! Rebecca's Tree compliments her room! She can sit and wait on Santa! Hummm…I wonder what is in store for 2011???? any guesses? a wall tree above her new bed?